Fresh off his 9th ABS National Championship, Daniel Woods made his way to Hueco Tanks where he secured yet another victory at the annual Hueco Rock Rodeo. 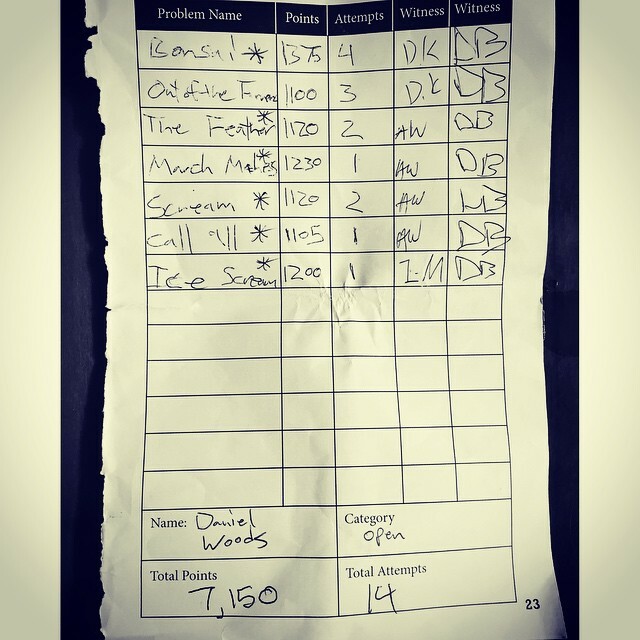 Woods bested the likes of Paul Robinson and Toru Nakajima with a scorecard that was highlighted by the first repeat of Jimmy Webb’s Bonsai (V13 or 14) on West Mountain1. 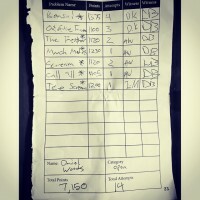 @dawoods89 official #hrr22 scorecard! He had a pretty good day, including the second ascent of Bonsai! The women’s event was won by Norway’s Maria Sandbu. More results from the 2015 Rodeo can be found here. Was this event being boycotted by female climbers? 3rd place in Men’s Rec category would have gotten 2nd in Women’s Open!! I believe they have a different selection of problems to choose from, so it doesn’t quite work that way. Seems like there is a surprisingly low number of total competitors given the pro-climber turnout and overall reputation and media attention the comp receives each year. The total competitor turnout was soldout 10 days before the comp went down. We were able to get 175 people in the park during the day of the rodeo. Obviously, the media attention tends to gravitate towards the pros. There should be some media coming up with other competitors. Ah, I was looking at the results and (apparently incorrectly) assumed that all the competitors were listed, as the 2014 results had as many competitors listed as were in each category. 4 attempts for a v13/14 insane! Leave a Reply to Adam PEters Click here to cancel reply.